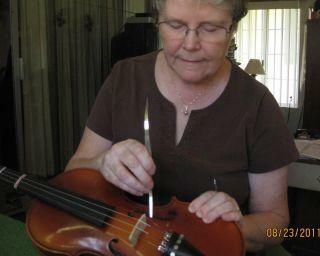 Starting in 1995, as an apprentice, I learned the art of violin repair at a very busy music store. During the years that followed I repaired 100's of school instruments from all over the Valley of the Sun that included both stock, school instruments and privately owned . I started my own repair shop in Jan. 2009. Email or call me with any questions or directions to my shop. The Bridge - A bridge should be replaced if it becomes warped or cracked. If it falls and looks to be in good condition you may want to reset it yourself. Loosen the strings a bit then slide the bridge back in place, putting the lower side under the string with the highest pitch. The center of the bridge foot should be aligned with the center of the f hole notch. 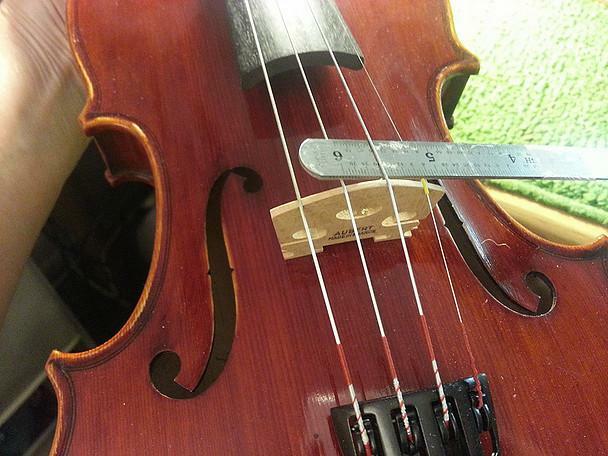 The strings should be centered over the fingerboard. 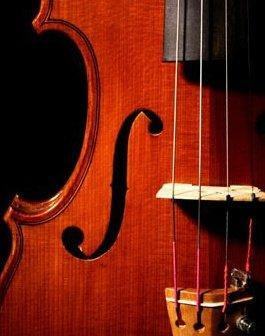 As you tune your violin the bridge may pull forward. If this happens it can be gently pulled back in the upright position. Sound post - Resetting a fallen sound post usually does not take long to do but it takes specialized tools and experience to set it properly. Cracks and Seems - Is best to have an experienced Luthier repair cracks and seems. The instrument can still be played but will not be stable or it may buzz. Pegs and Strings - Over time pegs can lose there traction and slip making it difficult to stay in tune. Sometimes they may need to be replaced or simply apply some peg compound. If the winding of a string is too close to the pegbox wall it will be difficult to keep the instrument in tune. In this case a peg will need a new hole drilled. When replacing strings yourself do them one at a time leaving any old strings tight so the sound post will stay in place. 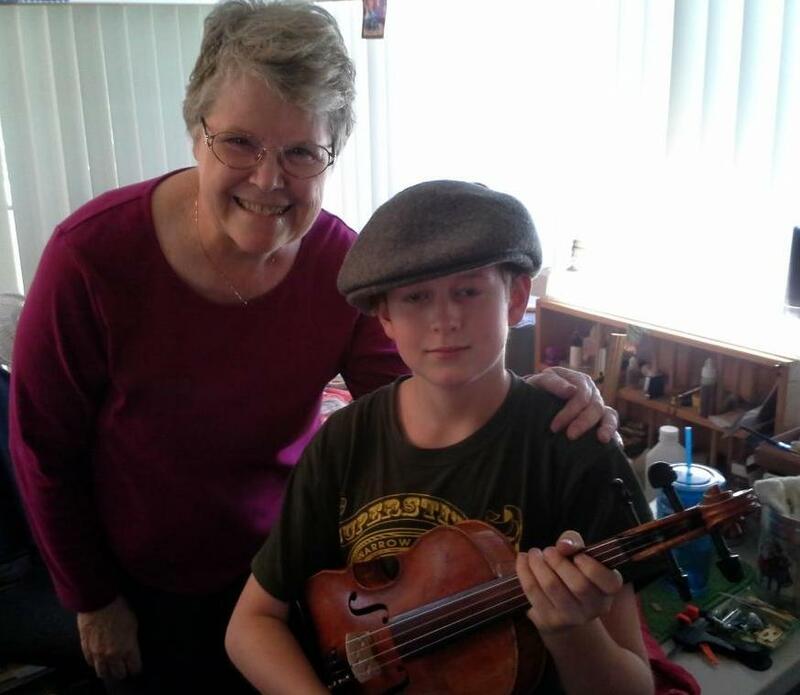 Young man after I installed a new bridge for his newly acquired violin. He was very interested in the process.